Oticon is Danish company based in Copenhagen Denmark. Oticon was founded by Hans Demant in 1904. Demant’s wife was hearing impaired and his passion to help his wife hear better led to the import and distribution of the first hearing aids to Denmark. Oticon launched the first internet-connected hearing aid called the Oticon Opn. Oticon Opn scans the environment 100 times per second to give you access 360 degrees soundscape. Opn is powered by the Velox platform offeringthe best resolution and speed. It has the capacity to handle 1,200 million operations per second. Opn has three levels, Opn1, Opn2 and Opn 3 ranging from 64 frequency channels to 48 frequency channels. All levels have the direct connectivity to iphones. Opn’s have rechargeable batteries utilizing Z Power. Phonak is based in Switzerland and owned by Sonova. Phonak was founded in 1947. Phonak manufacturers a wide range of hearing aids and are known currently for their Phonak Virto B-Titanium, Cros systems and Roger technology. Phonak Virto B-Titanium instrument is the smallest in-the-ear hearing aid. It is made of medical grade titanium making it light, versatile and durable. Overall size is reduced significantly enabling patients with small ear canals to be fitted with the invisible-in-the-canal (IIC). Virto B-Titanium runs on AutoSense OS, the operating system from Phonak which analyzes sounds every 0.4 seconds. The AutoSense OS can automatically change settings without manually adjusting the hearing aids. Phonak Cros B Systems for single-sided hearing. Cros B is worn on the ear with poor hearing (unaidable with hearing aid) and the signal is streamed to the good ear. Cros B allows awareness of your surroundings and hearing sounds on both sides. You don’t have to position yourself every time you are with your friends and family where to sit so they are on your good side. Both sides becomes a good side to hear! Phonak Roger technology systems bridges the gap in noise over distance. Roger is a wireless accessory that boosts the hearing aids performance in noisy environment, group settings or watching television. Roger microphones uses intelligent and adaptive algorithms to optimize speech understanding in noise and distance. Resound LiNX 3D are the newest hearing aids offered by Resound. LiNX 3D delivers clear natural sound and exceptional speech understanding. 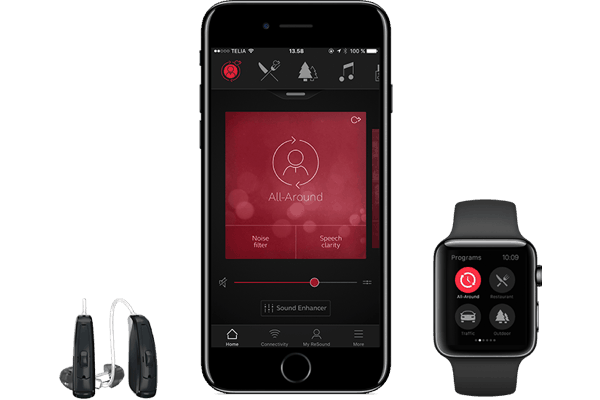 Resound LiNX 3D app allows you to customize your listening experience through wireless connectivity and giving you the control to manipulate sounds in your environment. The LiNX 3D app has many advantages especially for who appreciate music, the outdoors and restaurant settings. You are able to enhance bass sounds for those who needed more bass to appreciate music or increase the mid or treble sounds with the app. The outdoor program with the app can allow the hearing aid wearer to decrease wind noise. Resound Mic-in-Helix (MIH) is a custom hearing aid that fits the contours of the external ear. MIH’s placement in the concha provides the natural effects of the pinna and external ear. Mic-in-Helix provides better sound localization and better wind noise reduction. Resound Enzo 2 is one of the smallest and most powerful hearing aids available with direct wireless connectivity to iPhones, iPad or iPod touch. Resound Enzo 2 allows you to connect to the most important people in your life with their direct wireless streaming. Resound Assist allows you to request adjustments on your hearing aids without having to come in to the office. This is very beneficial to those who might have mobility issues or travels frequently out of town. You can request adjustments made to your hearing aid by using the Resound Smart 3D App. The request you make on the App has a simple questionnaire that guides you on the description of the situation. Your audiologist will receive your request and will make the precise fine-tuning adjustments necessary to your device and that is sent to your App. You would place your hearing aids close to your smartphone and tap to install the new adjustments. Brand of the Sivantos Group that was introduced in 2016. Sivantos Group history extends back to 1878 when Werner von Siemens developed a telephone receiver with substantially improved transmission. Siemens began the first production of hearing aids in Berlin. Signia hearing aids delivers Own Voice Processing (OVP) that preserve the familiar sound of your own voice allowing a natural experience of hearing own voice and around you in harmony. Signia Pure Charge&Go NX is a rechargeable hearing aid. It’s high capacity lithium-ion battery has a long lasting power. Pure Charge&Go NX offers a natural sound of your own voice and direct streaming. The 3D classifier in the device provides advanced automatic control in all situations. Unitron was founded in 1964 and the first Canadian manufacturer of hearing technology. Unitron is part of the Sonova Group. Unitron is unique and one of its kind in offering Flex Trial. Unitron hearing aids are powered by the Tempus platform that delivers high performance in most challenging situations. Unitron’s Spatial Awareness provides the patient to know where the direction of speech and other sounds are coming from. Unitron hearing aids are upgradable- meaning if the hearing aid wearer purchased a basic entry level digital and a few months later regretted their decision and wished that the high level digital was purchased instead. They have the opportunity to upgrade the device and enjoy the high quality premium device and only pay the difference of the level of the technology without losing their initial investment of the basic entry level digital. The Upgrade feature allow patients to make purchase decisions easier and have the peace of mind that they can choose to have a higher level technology at a later time. Flex Trial allows you to try the hearing aid before buying the device. You have the ability to “Test Drive” the hearing aids at no cost to you. The Flex Trial provides patient insights which evaluates your listening situations in different environments. 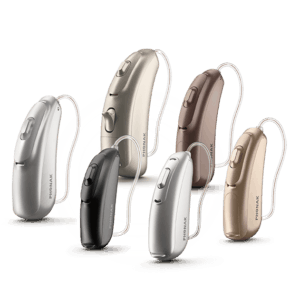 Unitron Moxi All R is a rechargeable hearing instrument that has wireless connectivity to all mobile phones. Widex was founded in 1956 by two Danish friends, Christian Topholm and Erik Westermann. Widex developed the world’s first 100% digital in-the-ear hearing aid in 1995. Widex UNIQUE boasts the best wind noise reduction system. The hearing aid is designed to quickly adapt automatically to different listening situations. UNIQUE can provide reduction of unwanted soft sounds while maintaining useful ones. Widex Beyond Z is a rechargeable hearing aid with superior sound quality and streaming. It has the lowest power consumption for a rechargeable hearing aid. Beyond are made for iPhone and you can personalize your settings with their App. 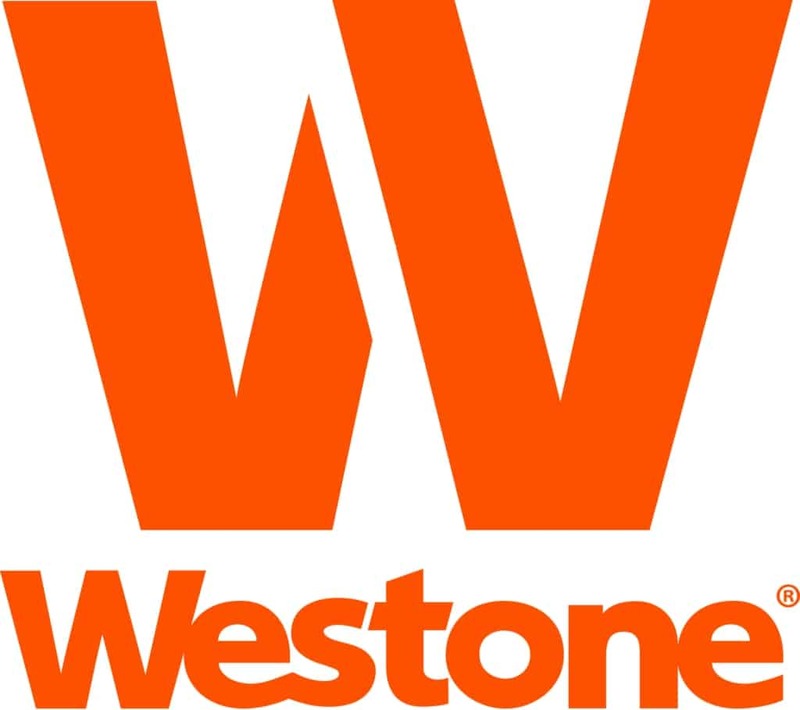 Westone was established in 1959 and based in Colorado. 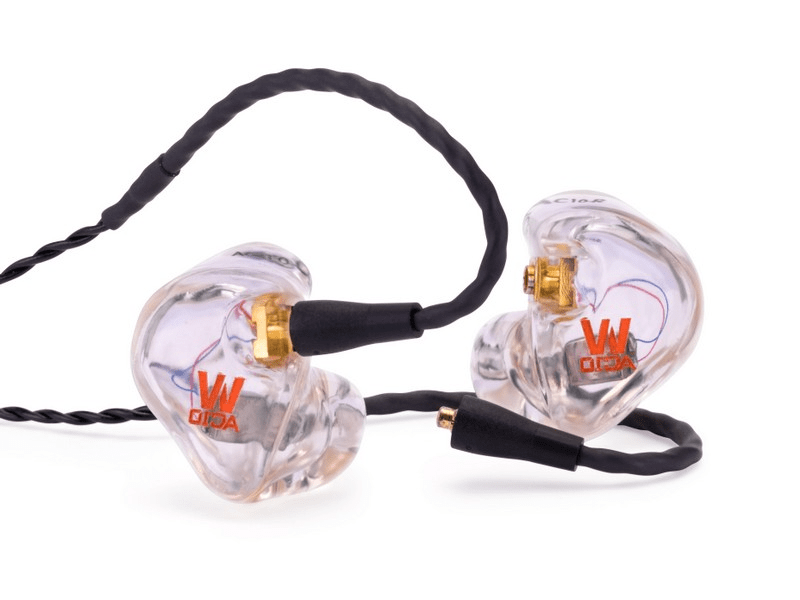 Westone is a manufacturer of custom earpieces for hearing aids, hearing protection products, musician’s earplugs, swim plugs, custom communication pieces and clinical supplies. They make a wide array of custom earpieces with a variety of designs and colors. Defendear Digital is designed for hunting and high level impact noise. It is a full shell earpiece that allows hunters to hear and closes off when a weapon is fired. Aquanot is a custom earmold that helps prevent moisture from entering the ear canal. Aquanots float and can be made with up to 3 different colors. ES 49 is a custom ear protection designed for musician’s and concert attendees. ES 49 has interchangeable filters that can reduce flat attenuation. Filter choices are 9 dB, 15 dB and 25 dB. earpieces for hearing aids, hearing protection products, musician’s earplugs, swim plugs, custom communication pieces and clinical supplies. They make a wide array of custom earpieces with a variety of designs and colors. Other custom products are available for different types of occupations and also for recreational uses such as motorsports and surfing.